I can’t say enough about this book! Stephen Graham Jones delivers every single time. People have been telling me to read this for about a year now, so I figured I’d give it a go. Once I opened this book there was nothing else I wanted to do, but finish this story. I completely devoured it in no time. 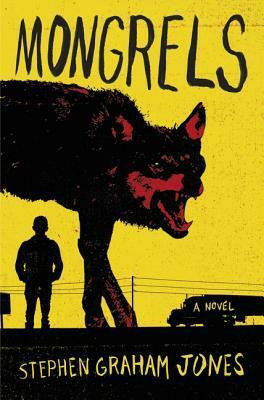 MONGRELS is a book that you read numerous times throughout your life. I will make it a habit to read it time and time again. This book should be taught in high school English classes across the country. MONGRELS is about a young guy and his aunt and uncle. The three are werewolves. It is a werewolf story on the surface, but underneath it all, it’s so much more than that. First, it’s one of my top five books of all time. Second, it’s one of the best coming-of-age stories I’ve ever read. Third, MONGRELS is a literary work of art. It is gritty. MONGRELS transcends the genre. Stephen Graham Jones turns the werewolf mythos on its head in grand fashion. I want more of grandpa’s stories. I quickly grew attached to the young narrator as he learns the rules of being a werewolf while wondering if he will ever transform into one himself. While the trio travels through the South, you learn about the struggle of being a werewolf and why they have to move around so much. The trio travels through familiar cities in the South. They even travel through my hometown. How cool is that? The scenes are intense and come to life through SGJ’s powerful prose and dialogue. MONGRELS is about survival. It’s about belonging. It’s about finding your identity. The storyline is nice and tight. There’s not a bad chapter in this book. Stephen Graham Jones can write! You should give MONGRELS a read.